Herbs & Astrology - A Giveaway! I have partnered up with green witch, healer and Etsy artist Michelle of Green Fingers to offer you this New Year's Day Giveaway. This is a wonderful opportunity to begin your New Years on a truly positive and healing note. The winner will be announced on the next Full Moon - January 10th - the contest closes at midnight on Jan. 9th. An astrological chart is like a blueprint of your soul. It is a way to tap into your inner psyche so you can understand yourself and others better. It is your personal connection with the heavens, the celestial bodies, the stars and the universe. WHAT IS A 3 MONTH FORECAST? Your astrology forecast is a computer generated timeline for the upcoming three months. This report will take a look at transits and progressions as well as my personal analysis of your Progressed Moon. Transits compare where the planets are now with where they were at your birth. Progressions represent symbolic time - the birth chart is advanced a year for a day – this brings your chart into the present moment. I will personally be taking a look at your Progressed Moon, the most important progressed planet in your chart because it will tell us where your heart is - your current area of greatest emotional emphasis. The Progressed Moon stays in one sign and one house approximately 2 ½ years. WHAT IS AN HERBAL ELIXIR? 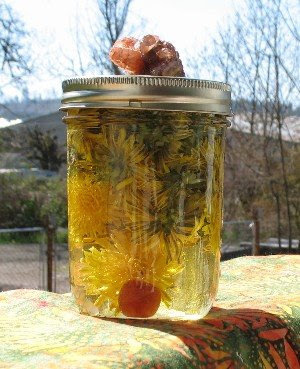 An energetic herbal elixir is a very simple concept--a plant (or sometimes more than one plant) is combined with gemstones in a liquid medium (usually alcohol, but this is flexible), allowed to steep for a certain amount of time during a certain phase of the moon, or occasionally in sync with the sun, depending on the purpose. The person preparing the elixir also adds energy and intent to the process, and after the correct amount of time has passed, the plant and stones are strained from the liquid, and the liquid is taken in small doses as seems appropriate. I see these preparations as being very similar to flower essences or homeopathics, and I have seen amazing results come from their use. I generally speak with someone and do energy work with him or her before receiving intuitive guidance from spirit on what plants, stones, and cycles of sun or moon would be appropriate. In this case, I will connect with you energetically and send a short distance reiki session--five to ten minutes--and then sit in meditation to determine the right combination. I will send you the information on what stone and plant I receive, as well as the method I sense would be most appropriate to create your personal "potion". You can then create your own medicine--in the process, learning about the plant, about energy medicine, and about yourself. I strongly believe that the medicines we create ourselves have the most profound healing effects, because the process of creating the medicine is so often healing in and of itself. I've been learning about herbs, magic, oracle readings and energetic healing for about 9 years now, and am constantly amazed at how much there is to learn compared to what I know. I'm a Reiki Master, a fiber artist, a Green Witch, and a student of the plants and stones. The energetic healing work I do combines Reiki with energetic body adjustments, clearing of energetic cords, placement of healing stones, use of sacred smoke (smudging, etc. 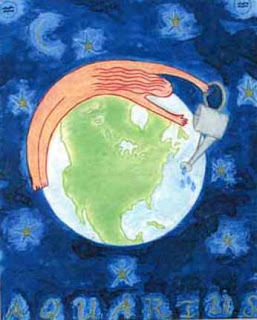 ), and a form of intuitive energetic "surgery" that moves energy very quickly and effectively. I can work in person or over distance--energy is not inhibited by time and space. I believe that each individual truly heals him or herself, and a healer is really only a channel for spirit, and a facilitator of the healing process--we are here to hold the space and give support, but we are never responsible for the healing itself. We are only privileged to be a part of the process. Click to read more Astrology entries or Herbal Healing entries.